On Tuesday’s Mark Levin Show, Rich Zeoli from WPHT fills in for Mark. We might have a deal and we might have a border wall, or barrier. Democrats are being held hostage by the radical fringe leftist in their party that think it’s immoral to defend the border. Will the President sign-off on this compromise, shut down the government again, declare a national emergency, or both? President Trump has to deliver on this issue or risk losing a portion of his base. The big question is: will Trump accept the reduced offer of less than $2 Billion for a barrier and decreased beds at border detention centers. Then, drug lord Joaquin “El Chapo” Guzman was found guilty in federal court. Under the federal laws of criminal asset forfeiture, the federal government can seize the $14 Billion in cash that El Chapo is known to have. 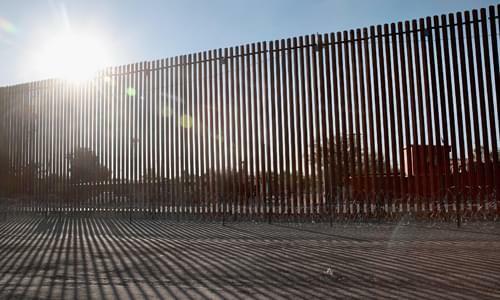 Sen. Ted Cruz has introduced a bill to use these federally-seized funds to build the wall to curtail the flow of drugs into the U.S at our southern border. Later, the Senate finds no Trump collusion with Russia and Robert Mueller is believed to have nothing to report as his investigation winds down. Afterwards, Michael Cohen has postponed his testimony for a third time, this time citing a shoulder issue; this works well for Trump and just proves that the democrats and the media just keep coming for him.